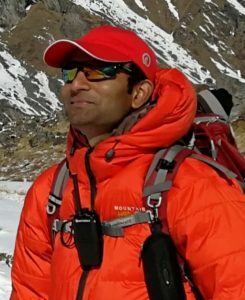 As the founder and director of Mountain World Treks, Saligram has over 15 years of guiding and pottering experience. Based in Kathmandu, Saligram coordinates all pre-departure communication, trip details and finances. When allowed the chance, he will guide treks to the Langtang and Annapurna mountain ranges. With a love for the mountain vistas and a knack for telling corny jokes, Saligram is sure to make any client feel right at home. 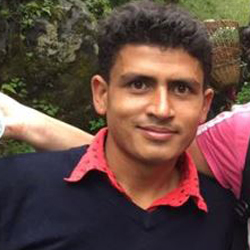 Like most guides does, Sudip also began his tourism journey as a porter. He received his guiding licence in 2010 and was soon hired by Mountain World Treks. Although he grew up in the lowlands of Nepal, he is drawn to the beauty of mountains. 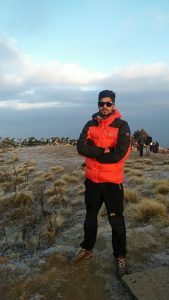 Sudip specializes in the Langtang trek and manaslu circuit trek. He is one of the most busy senior guide from our company. He has done all trekking of Nepal which has been the most favorite trekking routes for the trekkers since very long. learn language very fast and become an excellent guide in short time since his struggle in this field. He received Guide licence in 2012. He has done yet many of famous mountain trekking and safaris. He grew up in the remote village, completed his school in same village and came Kathmandu for his further study. 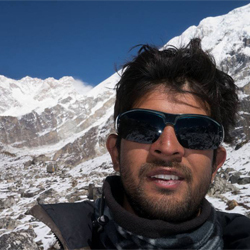 Sandip is also a guide who works from Mountain World Treks. He worked couple of years for a porter and became a good guide after pass the license training exam. In the beginning he was inspired by his brother to work in the same field as brother doing. He is dedicated to his work and handling many trekking so far. He has good language communication with the guest, the result he didn’t have to work as porter for a long time. He has quite good experience of various routes. Now Suresh also is a license holder guide after quite a long experience in porter. He has already done many trekking. Joined our company as a porter and became assistant guide in short time duration. He has completed his +2 level and does full time guide now. He has good link with guests and can create friendly environment to the guests. Tej is a guy who grown up in the lap of Everest region. Since he finished his school level study, he joined trekking field and continued his job as a porter in the beginning. As being a mountain boy he has good sense of Himalayas environment. 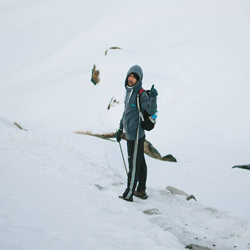 With his hard work and passion, he became a trekking guide these days. 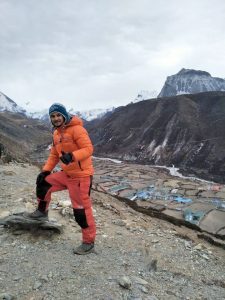 Mostly he does Everest Region trekking in the season. As being the local, he is very familiar with the mountains and its lifestyle. Mostly he lives in his village and join the trekking from the Lukla. Experienced, strong and friendly, our porters are an essential and respected part of the trekking team. You will quickly see how they become a part of the “family” as they join us during rest stops along the trail and share meals and a few rounds of cards in the evenings.